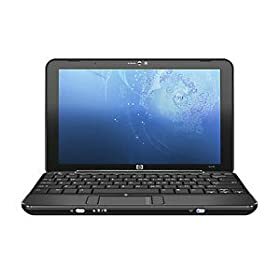 The HP Mini 1000 comes in two versions, based on the 10.2 inch screen or the 8.9 inch screen. The 10 inch screen is of course larger and has a larger keyboard. It seems that HP is out to replace the 2133 Mini-Note with these new models. Both versions come with the new Intel Atom processor and offer either a 60 gig HD or a 16 gig SSD. These new entries are a little pricey, coming in between $600 and close to $700, depending upon which options you choose. The addition of the 10.2 inch screen is $50. HP's website has a full customization program to build exactly the one you need, but there is some build time involved. Amazon carries a variety of their netbooks already configured. We got chance to try out this computer and the keyboard is very nice. The screen is large and bright, but it is the keyboard that really separates this computer from the Asus 900/901 models. For the last few weeks we have been testing Toshiba's NB205-N310 netbook with Ubuntu's Netbook Remix. This is after testing HP's Mini 110-1030NR & Acer's Aspire One AOD150-1920. All three of these netbooks come with 10 inch screens, and both the Toshiba and HP have 6 cell batteries. The biggest difference is the feel, HP's netbook has the worst feel even with large keys and a fingerproof finish, at the expense of a solid case. All were loaded and ran Ubuntu's netbook remix just fine. Basically all these computers have the same tech stats, 1 gig ram, 160 gig hd and an Atom processor, although the Toshiba has the N280 instead of the N270, but since this amounts to an 0.06 GHz improvement in actual usage there seems to be no difference. Install Ubuntu was no problem on all three. The HP & Toshiba had a slight sound issue but they were easy to fix. In each case the new software loaded up and Windows XP was held on a small partition. Ubuntu runs alright on these systems, no too slow, but not too fast. Our system is mainly used to program and we added LAMP, Bluefish and GFTP, other than that we don't use anything but Firefox so it is hard to tell how well emulators like Wine run or any games. But I would guess that they do not run too well. Toshiba has the best all around system, their keyboard is by far the best, and the case has the best feel. One problem that only the Toshiba seems to have is a very slow boot time. It also seems to get stuck when booting sometimes, but hitting the enter key seems to get it going. Toshiba also wins on battery time. It is nice not to have to recharge the thing everyday. It will last for about 7 hours without any power saving features. Toshiba also is the most expensive system but it is the one that we intend to keep. 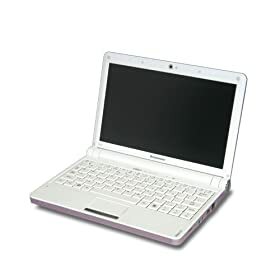 Mini Laptops and Netbooks are cheap, run linux and some people have figured out interesting things to do to them, or use them for. The guy in the video figured out how to shoot himself with his hack. 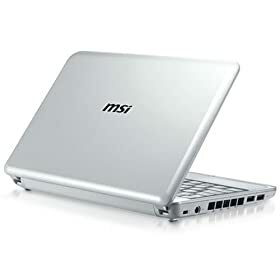 The MSI Wind has been around for a while and it comes with a 10 inch screen. There are many options available such as WinXP or Linux and different size hard drives (80 gig to 320 gig). We have found prices that range from $400 to nearly $800, the main differences being hard drive size and ram (1 or 2 gig). This is a very nice computer with black and white available. We have also heard (laptopmag.com) that Averatec will be selling a rebranded version. Lenovo has three new entries and the IdeaPad S10 is the first netbook from the company. This model has a 10.2 inch screen and as with other 10 inch versions is larger than the 8.9 inch types. But with the larger screen comes a larger keyboard, which is a good thing if you type much at all. The S10 comes with an Intel Atom processor and a traditional hard drive. If you need a nicely designed and well thought out netbook the S10 is quite nice. As with most of these netbooks if you opt for the larger 10 inch screen you will probably not need another laptop.